The Louver allows you to slit the material prior to forming or to slit and form at the same time, giving you a one-hit solution. Louvers in press brakes are typically longer in length or taller in height. European Precision tooling is one of the most lightweight, versatile press brake tool styles available, making it an operator favorite across the globe. Shorter punches are loaded into one or several segmented holders (link?) that increase overall height, affords the operator a lighter tool to handle and speeds setups. 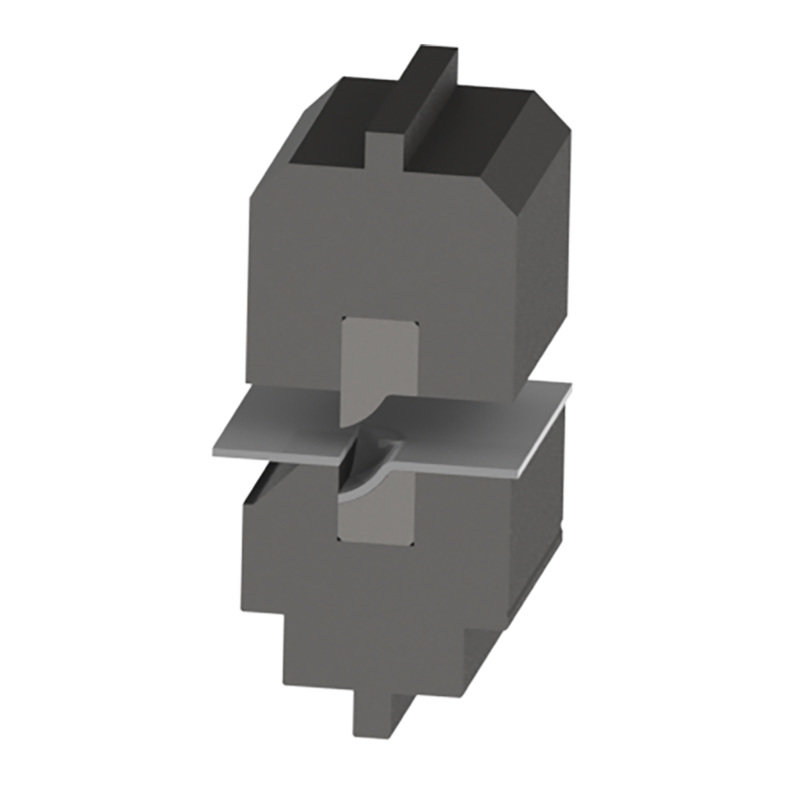 Two main die styles – quick change 1V and quick-change 2V -- provide alignment-free changeover and no need for an extra step to secure the die. Punches and dies are available in a “staged” or common-shut-height style, which alleviates the need for shims or risers. They are also available as traditional non-staged. Tooling is precision ground to +/-.0008”, and available in sectionalized to achieve any length with “ear pieces” for box bending with return flanges. Tooling is Nitrex® and/or laser heat treated for optimal life and durability, and laser marked for easy identification. Special European Precision tooling options from Wilson Tool International are virtually endless. Explore these pages for the most common special tooling profiles, or contact us for a more customized option. Your solution will be manufactured and delivered in record time.